Foto Friday CXXIII – ..:: NJ Brideau ::.. It has been so long since I updated a Foto Friday that I almost forgot how to do it. The good news is that I probably have about 2000 pictures to go through from my recent travels through Europe and the USA. 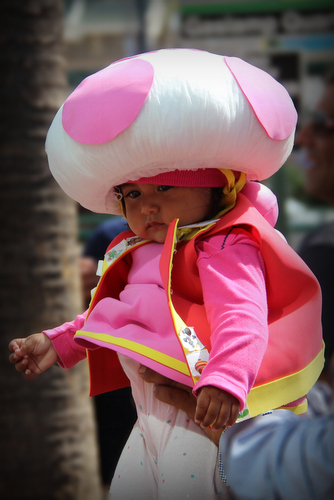 This is one from Comic-Con in San Diego where I went with my camera just to take pictures of the costumes and weirdos. I was actually about to pack up my gear and head home when I saw this little princess being paraded around. It was probably nearing 80 degrees (27C) and I needed a break from the full sun, so who knows how this little girl felt. 1/125s f/5.6 90mm ISO 100. Lens blur and vignette added. Au revoir until next week.